The federal government has replaced the existing Child Care Rebate and the Child Care Benefit with the new, means-tested rebate known as the Child Care Subsidy. The government’s latest changes to early childhood education and care (ECEC) came into operation on July 2. This package of changes fails to address the present wage crisis in ECEC, to tighten the regulation of the system or address the lack of affordability. Women still tend to carry the main responsibility for raising the children. The federal government has replaced the existing Child Care Rebate and the Child Care Benefit with the new, means-tested rebate known as the Child Care Subsidy. The government claims that there will be an average of $1,300 extra per annum in government rebates that should result in around 230,000 families increasing their workforce participation. 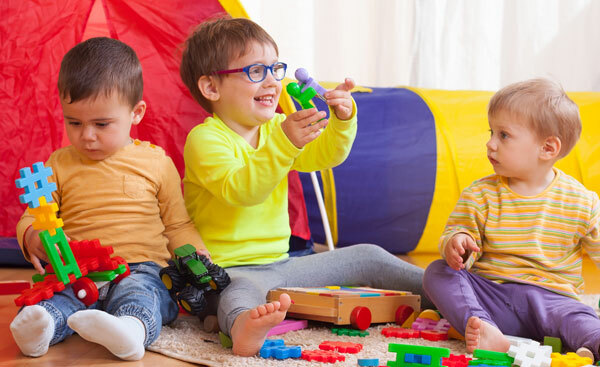 The government has increased the “childcare” rebate from around 72 percent to 85 percent of fees for the more than 370,000 families whose combined income is less than $66,958 a year and removed the present cap of $7,500 per annum on rebates. “We’re abolishing the dreaded annual rebate cap for families earning $186,958 or less a year – that’s more than 85 percent of families using childcare in Australia. The cap is being increased to $10,190 for families earning above that threshold,” Birmingham said. But this is not as good as it sounds; there is now a maximum hourly rate cap depending on the service type. For example, the hourly cap on long day care (centre based) is $11.77 and for family day care (in a home) is $10.90 per child. This is where the sting is. Vacancies in ECEC centres with quality, affordable programs can be hard to come by, depending where you live. Fees can be anything from $70-$177 per day depending on such things as the provider, the provision of meals, number of qualified staff, and so on. If the fees are say $15 or $20 or more per hour, then it is misleading, to say the least, to headline the removal of the $7,500 cap on rebates. That puts an hourly cap of $11.71 on the rebate. There is no regulation of fees. The raising of the rebate to 85 percent may result in a hike in fees by the big, profit-gouging corporations that are moving into and have monopolised what is now viewed as an industry. “Childcare” is becoming a commodity, to be sold at a profit with all the shortcuts and exploitation like any other capitalist corporation. The focus of ECEC should be on education and care, on the children, their development and socialisation of up to five or six years of age. Not profits. Landlords for ECEC centres are making a return of between five and seven percent per annum on their properties. It is a common practice to build in annual rent increases of three percent per annum. Add to that profits made by providers such as Only About Children and Affinity Education that are owned by transnational private equity companies or G8, a publicly listed corporation. This drive for profits puts downward pressure on quality and pressure on fees to be constantly raised. The rent and profits are factored into the fees. In other words, the government is largely subsidising the private sector, not the parents. Under the new package, all families must apply – opt in – to receive the subsidy, even if they were already a recipient of the old benefits. To continue receiving payments it is necessary to log into the myGov website and update details. It appears thousands of people are not aware of this requirement, but Birmingham says the government has put in place a safety net that allows back payments to be made within the first three months. Even if they are aware, trying to log into myGov can be a harrowing and unfruitful experience at times. Trying to get assistance by phone is mission impossible. The other sting in the tail, where the government expects to make substantial savings, is the introduction of an activity test. This is not dissimilar to the tests imposed on welfare recipients. Where there are two parents both must meet the requirements of the test and the amount of rebate is based on the hours of activity of the parent with the lowest entitlement. This activity includes such things as paid work, including self-employed, being on leave such as parental leave, training courses, volunteering, unpaid work experience or internships, unpaid work in a family business or actively looking for work. In two parent families both parents must meet the activity test. The activity test is harsh and complex, cutting access to early learning for children who stand to benefit the most. Disadvantaged, low income and families in insecure work are negatively impacted by the activity tests. The changes also cut quality ECEC access for Aboriginal and Torres Strait Islander children, which United Voice vigorously opposes. Workers in the ECEC sector are highly skilled and the work they do involves a great deal of responsibility and care. Fully qualified ECEC educators have university degrees and should be paid as educators on a similar salary to teachers. But they are not. The hourly rate is $22, less than half that of the average wage. They have been fighting for equal pay for some years with their calls falling on deaf ears. They have also been hit by the cuts to weekend penalty rates, the most recent being on July 1. The overwhelming majority are women, and the government’s attitude seems to be one of treating them as though they are doing “women’s work” minding children. Their union, United Voice, is waging the Big Steps campaign in response to Prime Minister Turnbull’s refusal to act on the equal pay crisis in the centre. On March 27, Keep Your Children Home Day, thousands of members took part in its biggest walk-off ever. Parents and providers supported their action and parents with children at the affected centres organised alternative arrangements. Educators are angry and fed up. They, and the children they educate every day, have once again been left behind. Education Minister Simon Birmingham constantly uses the term “childcare” as if the centres do little more than mind children. Yet these early years are the most important in a child’s development. If 90% of our brains are formed in the first four years, why are our early childhood educators paid only half the average national wage? Early childhood educators deserve to be valued for the important work that they do. A child’s life chances should be shaped by their innate abilities, not where they were born or how much their parents earn. Strong investment in ECEC can break the cycle of disadvantage and set children on a strong educational course for life. The government’s package also includes an allocation of $870 million in support of 15 hours preschool a week for every child during 2018 and 2019. Beyond those years there is no commitment. The union has put the government on notice that continued refusal to give ECEC educators due recognition for their skills and professionalism will lead to further action from the sector this year. The Communist Party of Australia believes that there is no place for private, for-profit sector in ECEC. The important role of early childhood educators in the emotional, intellectual, social and cultural development of pre-school children should be recognised. These educators should be paid a salary commensurate with their qualifications and responsibilities. All children should have access to free early childhood education.